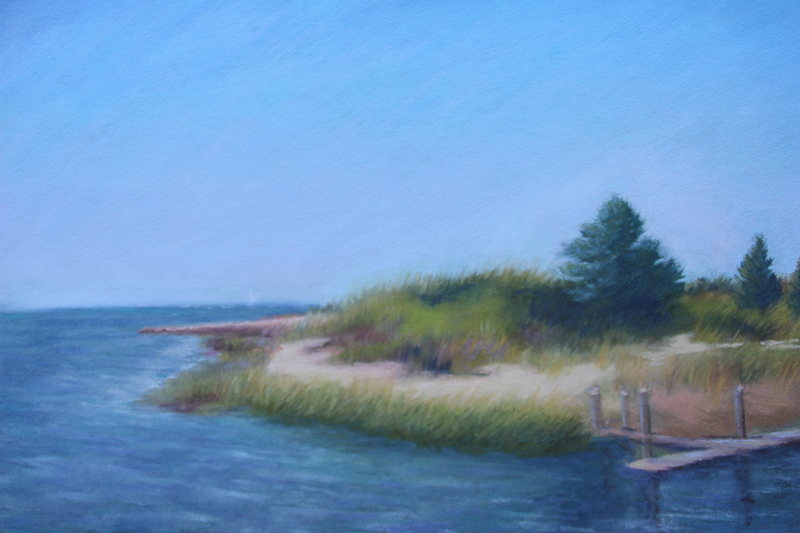 As the days of summer are getting shorter, I look over my plein air paintings of Cape Cod. 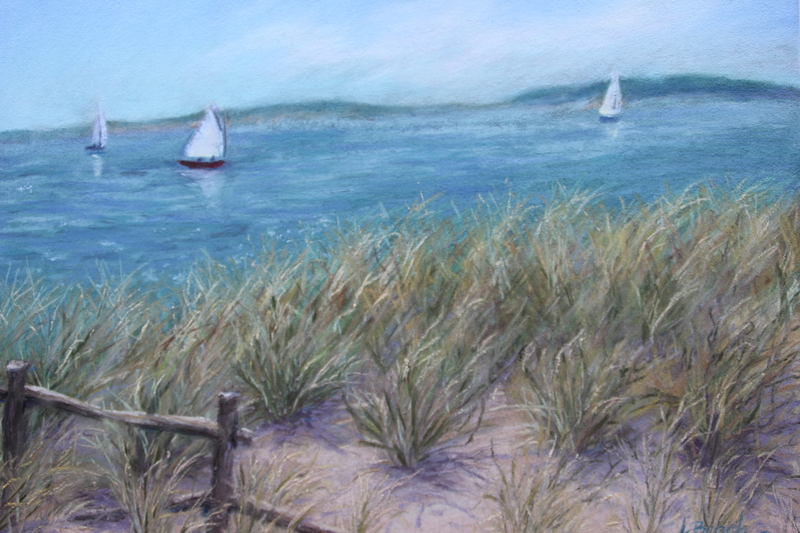 I remember the feel of soft sand at my feet, salty breezes bending the grasses, the fragrance of beach roses, white sails against the blue sky, and the taste of seafood brought to local harbors on fishing boats. 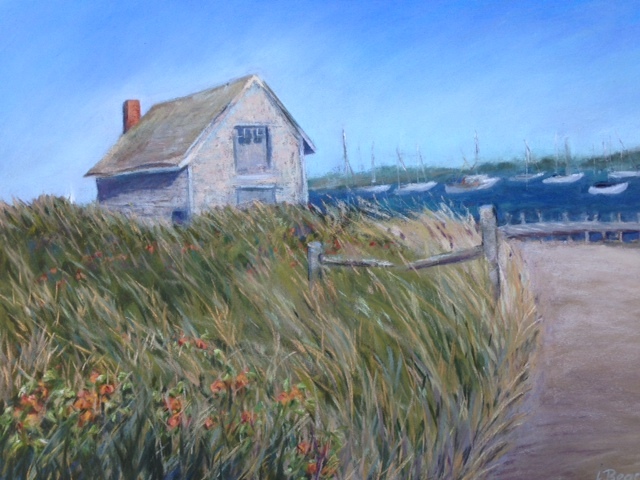 I have set up my easel stocked with pastels on sandy beaches in Yarmouthport, Dennis, and Wellfleet; at the end of a dirt lane by a Chatham harbor, and by parking spaces in Rock Harbor, Orleans and the pier at Wellfleet Harbor. 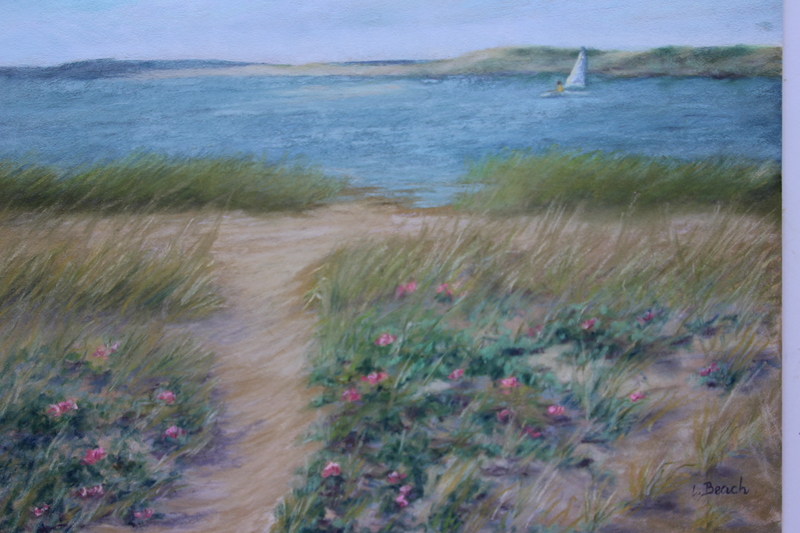 Here are a few of my memories of summer captured in soft pastel.